Harmony has always been a highly valued virtue in the long history of China’s civilization, and it remains the cornerstone of Chinese culture today. 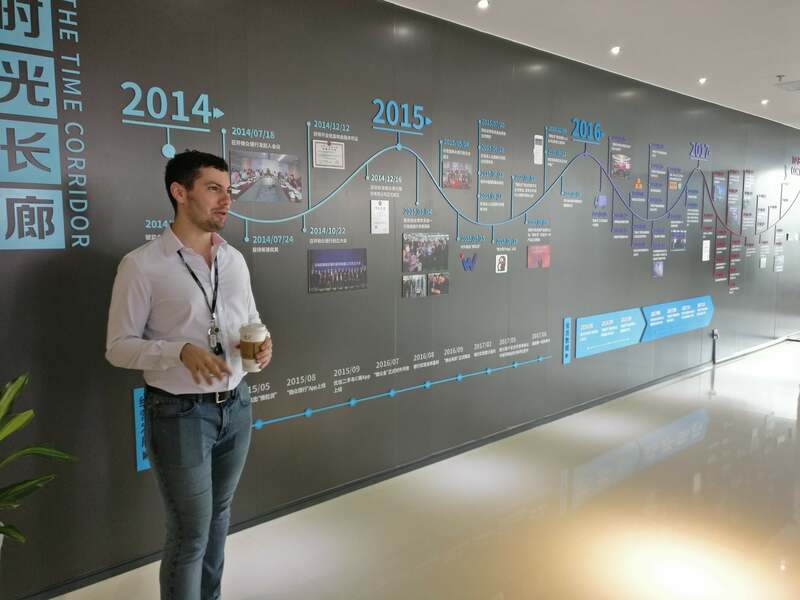 It is no wonder then that harmony and collaboration were recurring themes during Mastercard Foundation’s FiDA Partnership fintech study tour to China, where we visited a number of leading technology and fintech organisations. Among these players there was an ethos of building the digital finance space together, rather than an atmosphere of disintermediation as we see among many banks and telcos in African markets. To put this into context, among the technology organisations we met, both Ant Financial and JD Finance told us they each partner with over 400 financial institutions. 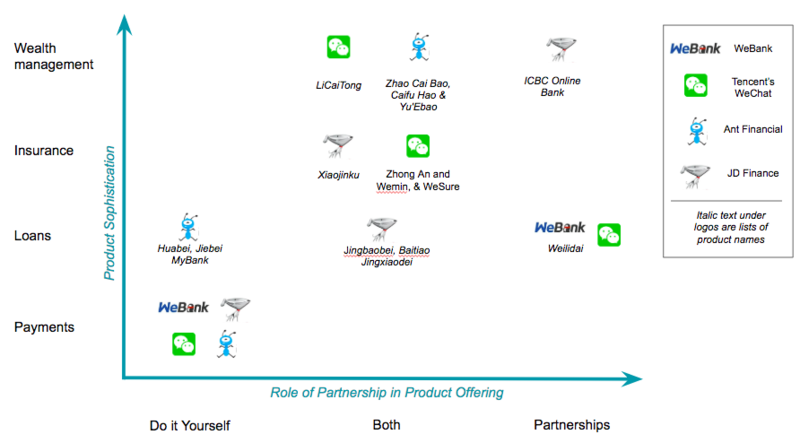 WeBank, which started operations only three years ago, has already partnered with over 50 banks. A recent survey found 68% of financial institutions in China expect to increase fintech partnerships in the next 3-5 years. This is in stark contrast to the digital financial services space in sub-Saharan Africa in which partnerships are less common and often hampered by challenges such as power dynamics in the market, restrictive regulation and the relatively nascent stage of big data capability. Here we discuss the journey to partnerships among players in China and the underlying incentives to partner. In a second blog we will reflect on if this ethos of collaboration and partnership can be replicated in sub-Saharan African markets. All the companies we met with in China are using partnerships in some way to better serve their customers. In the global context, commercial partnerships are most eagerly sought by smaller companies hoping to leverage larger companies’ access to new markets or new revenue sources, with challenges often surfacing due to the imbalance of power. Rarely do we see the largest financial service companies actively seeking partnership to expand their services. We do, however, see partnerships between larger organisations (such as MNOs and Banks) for regulatory compliance reasons. To understand how Chinese organisations partner we mapped four companies’ products by degree of partnership, and noted clear trends. There are no partnerships on payments; providers have not even integrated to enable interoperability between their wallets. Beyond payments, as organisations offer more sophisticated financial services, partnerships play a more dominant role. * Loans: WeChat offers loans from its sister company, WeBank. JD Finance allows customers to access credit from other financial institutions through their app. Ant Financial is the only organisation that does not leverage a partner for loans, instead packaging the lending into asset backed financing which they sell on to investors. However, with the regulatory clampdown on asset-backed securities (ABS), it is likely that they will be need to look to partner for loans in the future. * Wealth Management: Wealth management products from banks such as China Construction Bank are offered across Ant Financial’s Yu’ebao money market fund. WeChat’s Licaitong has partnered with China Rapid Finance for investment products. * Insurance: Collaborations enable products to leverage the expertise from specialized underwriting institutions. Analysis of the partnerships landscape for these four organizations reveals their shared strategy to protect the payment business and share the other financial services. This demonstrates the central importance of payments for customer acquisition, as a gateway to their other financial services offerings. Payments also hold valuable customer insights that the providers are reluctant to share. It will likely be difficult for the Chinese market to continue with two dominant payment player wallets that don’t interoperate – mobile payments are dominated by AliPay (53% market share) and WeChat (40%). Customers and merchants appear to have put up with this for now because they can move money from their bank accounts to their Alipay and WeChat pay wallets without cost, and on the same SIM card. However, with WeChat Pay starting to charge for this bank to wallet transfer we may see greater customer demand for integration of wallets in the future. Our meetings in China not only revealed journeys to partnerships, but also incentives behind collaborations and partnerships. Below we highlight some of our key findings. In China the lack of a credit reference bureau (CRB) forces organisations to employ different strategies to mitigate risk. Some share data bilaterally, others leverage data shared through a quasi CRB, while others pull data from sister companies and subsidiaries to provide a comprehensive view of existing and prospective customers. During the study tour, we learned about a lot of data being shared among organisations for risk management and credit facilitation. Two of the largest players, Tencent and JD Finance, share customer data with each other. JD Finance combines Tencent’s social media data with their own e-commerce intelligence to help JD develop a deeper understanding of their customers for credit profiling. Data collaboration also happens through the National Internet Finance Association of China (NIFA). Many non-traditional financial service providers spoke to us about how they share data with NIFA to fill the gap left by the lack of a CRB. Similarly, Ant Financial’s Zhima (Sesame) Credit – one of eight private credit rating systems – works with various entities to develop its credit scores to combine data from Alibaba’s e-commerce platforms, the Alipay payment service, as well as other financial institutions, credit agencies and government ministries. Strategic partnerships also permit access to new customer bases. Banks offer access to offline channels, while internet companies have immense active user bases from mass market segments that are largely missing from Chinese traditional financial institutions’ portfolios. JD Finance told us how they joined forces with Industrial and Commercial Bank of China (ICBC) to launch the ICBC Xiaobai Digital Bank, enabling them to acquire customers who are outside of JD.com – including those offline – and enabling ICBC to tap into the millions of JD.com users. In China, the government strongly encourages partnerships with state-owned banks in order to fortify their relevance amid competition from incumbent tech players. The gradual transition of China’s internet finance companies away from finance and towards purer technology plays can be attributed to governmental pressure. For instance, Ant Financial has transformed from fintech to techfin and now to tech services. All the technology organisations we met were very careful to demonstrate their collaboration with banks, and highlight their core competencies in technology rather than finance. For banks, teaming up with internet companies enables them to quickly catch up on the tech innovations that have created the internet finance boom. We also heard from technology companies, such as JD Finance, that regulation mandates them to partner with financial institutions to offer certain products and obtain certain licenses. This is similar to what we see in African markets where compliance is often the main motivation for bank partnerships. As regulators have clamped down on asset-backed securities (ABS) and financial products have reached a scale that can no longer be supported by internet giants’ own balance sheets, banks’ low fund cost have encouraged collaboration. Two companies we met with, WeBank and JD, are syndicating their loans with other financial institutions due to capital constraints. In the case of WeBank (in which Tencent has a 30% share) we learned how they syndicate their Weilidai micro-loans due to their limited access to loanable funds, with capital split 20/80 between WeBank and partner banks. While WeBank benefits from the the banks’ capital, the banks benefit from WeBank’s access to Tencent’s large customer base, as well as the efficiency and reduced risk presented by their tech innovation, leveraging blockchain for real-time settlement and AI for risk scoring. JD Finance similarly shares its customers and channel with banks in exchange for cheaper financing, something that is rarely heard of in Africa. Usually banks finance on-lenders at a high price, due to the risk involved in lending to customers they don’t own. However, JD Finance told us how they have been able to negotiate low cost funds due to the appeal of their large customer base and a proven credit scoring model – that is the envy of most banks – owing to their expertise in AI and their ability to test this with vast amounts of customer data from JD.com and their partner, Tencent. As financial products have increased in sophistication, there seems to be a growing recognition among Chinese tech companies of the value of bank partnerships, and vice versa. Banks offer professional financial product design and packaging while internet players have tech capability and algorithms that they have been able to test on vast amounts of user data. A recent survey highlighted that the main driver in the expected increase in partnerships between financial institutions and fintech is to strengthen innovation. Even among leading players there is acknowledgement that you can’t be good at everything. Ant Financial described how their rural finance strategy is reliant on partnerships with banks, insurance companies and county governments to deliver credit services to rural individuals and SMEs. They rely on banks for both their data on local individuals as well as their offline infrastructure (branches) to reach, educate and acquire rural users. Some organisations also offer their technology infrastructure to other players. WeBank licenses its technology capabilities, enabling smaller players to benefit from a level of innovation they would struggle to develop themselves. They also license their facial recognition technology to help partners with KYC. Similarly, Yirendai – through their Yirendai Enabling Platform (YEP) – provides solutions to business partners such as risk management and customer acquisition. While these are currently commercial partnerships, in which institutions are buying services from tech companies, it is clear that China is entering an era of collaboration with financial institutions looking to move from these expensive commercial arrangements to collaborative partnerships. Large platform players in China, particularly Tencent, pride themselves on their super-app status, through which they offer a vast array of services to their customers. We learned from Tencent that due to the sheer breadth of services offered through WeChat, consumers find little reason to leave the app: over one-third of WeChat’s users spend over 4 hours in the app each day, and 60% of the total time they spend on their phone is either within the WeChat app or other Tencent platforms. This stickiness creates a customer relationship built on trust, longevity, and relevance in every aspect of users’ daily life, paving the way for a multitude of lifecycle scenarios and new touchpoints for financial service providers. Therefore, partnering with large platform companies can enable financial institutions to insert products into the daily lives of their clients in a way that is optimized for relevance and convenience. For instance, on WeChat you can book flights, hotels, car hire – and purchase travel insurance – all in the same place; funds can be moved between wealth management accounts and WeChat wallets seamlessly without leaving the app. For the tech giants, integrating financial services on top of their existing offerings in this way creates the potential to more effectively monetize their consumer base and increase the stickiness of their core offerings. This blog has highlighted how partnerships, and an ethos of collaboration, are beneficial not only to small players in China, but also the tech giants themselves. While these insights into the Chinese fintech landscape are relevant for Africa, lessons cannot be simply replicated. In part 2 of this blog we will discuss whether China’s ethos of collaboration can work for African fintech as successfully.